Presiding Officer Norma L. Gonsalves recently attended the Annual Inspection and Installation Ceremonies of the North Merrick Fire Department at the Hilton Long Island/Huntington in Melville. The ceremony is held to install the new officers of the Fire Department and honor past officers as well. Pictured (l-r): Reverend Joseph. 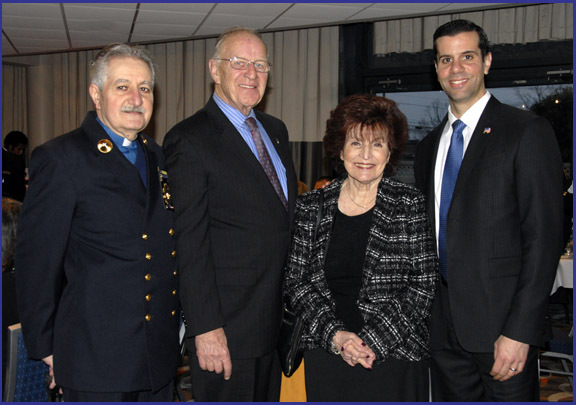 J. D’Angelo, North Merrick Fire Department Chaplain; Assemblyman David McDonough; Presiding Officer Norma Gonsalves; and Nassau County Legislator Michael Venditto.